Understanding the HUDHomestore can be a confusing and aggravating process! You’ve been told that affordable housing programs are available, but everywhere you search you find more questions than answers. We’ve compiled all of the information on how to use the HUDHomestore website, and we are going to share it all with you! Where You Can Save Even More Money using Our Bidding Secrets! 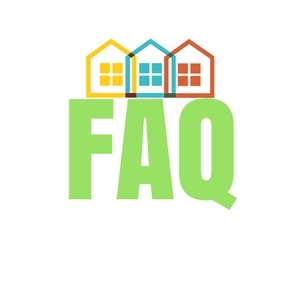 Get your HUDHomestore questions answered by a HUD Approved Lender by clicking here. Homes purchased from the HUDHomestore have the potential to save you thousands of dollars! Your real estate broker prepares and submits your offer without any payment from you! You may qualify for down payments as low as 3.5 percent! HUD is willing to pay up to five percent of the closing costs! Are you in a hurry? HUD Homes can save you time too! HUD Homes have already been appraised and can then move faster through the purchase process. HUD Homes must close within thirty days unless you receive a written extension from HUD. Without the extension, you can be moving into your new home within 30 days! HUDHomestore article continues below form. 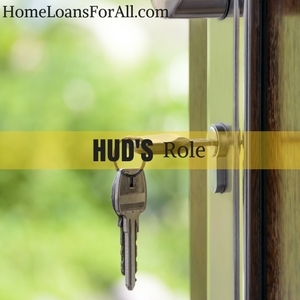 The properties listed for sale on the HUDHomestore website are closely linked to the FHA mortgage program sponsored by the Federal Housing Administration. Private lenders issue the financing for the mortgage, but they are partly insured by this section of the federal government. If or when the home moves into foreclosure, the government acquires the property under the Department of Housing and Urban Development (HUD). They will then attempt to sell the home to recover the costs that the foreclosure incurred to both the FHA and the private lender. It boils down to the fact that every HUD property is the result of a foreclosed FHA home. The HUDHomestore is a listing site for foreclosed properties, designed to advertise the available homes and hopefully resell them to recoup the losses from the foreclosures. Anyone can browse through the listings for detailed information. It is readily available to the public, various brokers, a potential buyer, government organizations, or your real estate agent. The website is available to help new home buyers become educated on the purchase process and find the perfect single-family property. They have a specific section for advice and further education. In particular, it’s very easy to find more information on upcoming training sessions, flyers on the various programs available, and additional resources regarding relevant government agencies. If you think that you may be interested in purchasing a HUD house, you will want to spend a few minutes browsing around the HUDHomestore for more information. Because it’s available to the general public, there’s no harm or risk involved with simply looking at the information that is prepared there. There is generally some confusion regarding the specific role that HUD plays in the purchase of a home found on this website. Because they are all commonly referred to as “HUD homes”, many prospective buyers believe that the Department of Housing and Urban Development issues the financing for a new homeowner. This is a common misconception that needs to be dispelled. HUD is the government agency who now owns these properties as a result of the foreclosure on the FHA loan of the previous homeowner. They manage the properties and the sale of those available homes, but they play no role in issuing the financing for the new owner. You must work with a private lender in order to purchase one of these homes. Because you will be working with a private lender, you will be subject to their approval process for a mortgage. Some of the criteria may vary from lender to lender, but they are generally evaluating your credit score, debt-to-income ratio, gross income, and other contributing factors before making a final decision on your financing. Many individuals and families who want to purchase a new home express interest in this program because it can be relatively advantageous. It has the potential to save you thousands of dollars, as well as a tremendous amount of time compared to other types of home purchases. First and foremost, it’s important to look at the monetary savings that accompany a HUD home. Your real estate broker kicks off the savings by preparing and submitting the offer without payment from you. This is certainly a great feature to have included in the loan program and can save you some money, but not as much as the next major advantage. Many individuals may qualify for extremely low down payments of just 3.5 percent because some of these properties are eligible for the FHA loan. 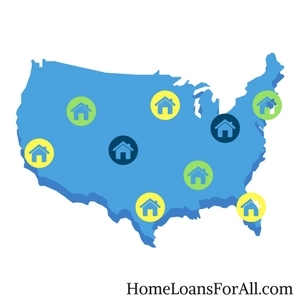 You can receive all the benefits of this inherently beneficial loan program alongside the best features of a HUD home. HUD is willing to pay up to five percent of the closing costs, a substantial savings. You may also qualify for a separate repair loan that can be built into the mortgage. On some properties, this may be essential to the purchase of the home. When it comes to the time savings, you might be able to move in faster than you thought possible if you purchase a HUD home that was eligible for an FHA-insured mortgage. These homes have already been appraised and can then move faster through the purchase process. If you have a deadline for when you need to be in a new house, this could be one way of improving your chances of success with that goal. Once an offer is accepted on a HUD home, it must close within thirty days unless you receive a written extension from HUD. These extensions are granted for a variety of reasons, but it may be because a lender needs additional time to finish processing your loan application and paperwork. Without the extension, this is a relatively quick turnaround time for a home purchase though. The advantages of purchasing a HUD home have the potential to significantly outweigh the disadvantages. However, they both should be discussed to some extent. The major disadvantage to purchasing a HUD home is that you will have to purchase the home as is. The government is willing to make no guarantees or agreements regarding the condition of the home. This is a huge risk for potential homeowners because many foreclosed properties are in some state of disrepair. They may need extensive repairs to the roof, foundation, electrical, and more. However, they could simply be in disrepair aesthetically with holes in the wall, a need for new carpet, and thorough cleaning. The other major disadvantage is the waiting period. Should a problem arise during this time period, you will still have to proceed with the purchase of the home. Homeowners who choose to back out at this stage will likely lose their offer money and any down payment that they have already made to reserve the property. Whether or not purchasing a HUD home is right for your family depends on your unique circumstances. Some people don’t mind the idea of potentially acquiring a fixer-upper because the other benefits and cost savings of the program balance out their concerns. You will have to decide for yourself whether this type of property is right for you. A HUD home is a property acquired by the Department of Urban and Housing Development as the direct result of an FHA foreclosure. Because the federal government insures these loans, the properties tend to be handed over to them when the mortgage moves into foreclosure. Lenders can then trust that HUD will be able to sell the properties to help recoup the costs of the lost mortgage. All of the properties are the result of an FHA foreclosure, so they will all fall into the category of properties that were eligible for this type of financing at one point. They will all be residential properties, typically with between one and four units. Perhaps the most common type of property purchased through the HUD Homestore is a single-family residence. As we discussed in the previous section, the major disadvantage to purchasing a HUD home is that they are typically in need of repairs. This is true for all homes that move into the foreclosure process. They may have many aesthetic changes that need to be made as a result of the lack of care or upkeep on the property. A fresh coat of paint, new flooring, and spackling a few holes may go a long way toward improving the overall look and feel of these homes. However, this is on the minor end of the spectrum. Many will require more significant repairs with major aspects of the home’s most important functions. This could include the electrical, plumbing, or even the roof. They may not be in move-in ready condition for quite some time, so you will have to make arrangements for your necessary living conditions during this time. You have to be prepared to face all of the possibilities when you risk the purchase of this type of property. Anyone who has the money necessary to purchase the home or who can qualify for a mortgage with a private lender is eligible to purchase one of these properties. You may use either a conventional loan or an FHA loan to secure financing for these properties. The specific requirements for a conventional mortgage will vary based on the lender you select. They will generally examine your overall income, your credit score, the debt you may have accumulated in comparison to your income, and other factors. You may also be required to put down a large down payment, traditionally twenty percent of the purchase price of the house. You may be eligible with some other compensating factors, and some of this information will be dependent on your lender. Remember that the Federal Housing Administration does not directly issue these loans. They only insure the financing for a private lender who offers this loan program. One of the benefits of purchasing a HUD home is that you may not have to compete with investors and other buyers. Some of the properties are exclusively available to those who will use the property as an owner and occupy it as their primary residence. This exclusive listing period is available for fifteen days. This waiting period helps to prioritize homeowners who want to purchase a home solely for their own personal use. It’s a great way to help keep families in the home and to boost the community where these properties are located. Only when this search is unsuccessful does the sale extend to those who will not personally occupy the space. Owner-occupants who purchase these homes must agree to live there for one full year. They will be excluded from the purchase of another HUD home for a two-year period. After the exclusive listing period passes (usually on day sixteen), all bids will be accepted including those from investors and other agencies. All of the homes sold through this financing program are sold in their present condition with no guarantees from the Department of Housing and Urban Development. The owners are completely responsible for all repairs on the property, so you will want to be certain you can handle the renovation and its associated expense. Because you are agreeing to take on any of the issues associated with the home, it is highly recommended that you receive a thorough inspection prior to making an offer. A home inspection gives you a detailed look at what areas of the home are in complete disrepair. The inspector should be able to help you pinpoint any locations that are a cause for major concern and are a risk to the safety of occupants. They will look at every aspect of the home, including the roof, electrical, plumbing, appliances, water, and any other pertinent areas. This is the best way to make a fully informed and educated decision regarding whether you can handle and afford the necessary rehabilitation the home may require. It also reveals if there are hidden issues lurking quietly that aren’t noticeable during your walkthroughs of the house. It can’t be stressed enough that this should be considered an essential step if you want to make a sound financial investment. The prospect of extensive renovation may not scare off a determined homeowner who isn’t afraid of putting in a little hard work. If the home inspection uncovers a long list of much-needed repairs, you may be eligible to receive the FHA 203K loan. This makes obtaining financing for the necessary renovations much simpler than the traditional process. Generally speaking, most renovations are covered under the guise of a construction loan alongside the mortgage on the property. The construction loan charges high interest rates on the amount of money drawn from the available loan amount until it is closed out and bundled into permanent financing on a new mortgage at the completion of the project. This can be a real paperwork nightmare, as well as an expensive way to keep up with the costs during your renovation. The FHA 203K program promises a much better way to rehab one of these HUD homes in disrepair. Obtaining a loan through this program allows you to have one fixed rate loan at a lower interest rate that covers both the initial purchase and funds for the remodel. You may also select an adjustable rate loan through the same program. Either way, this saves you from paying the high interest rates of a construction loan and from the multiple closings required with getting two mortgages. 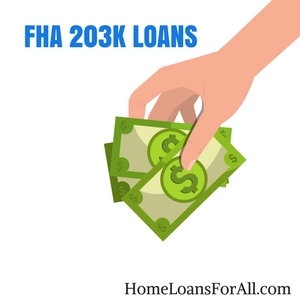 It isn’t a necessity to get an FHA 203K loan if you are interested in a property available through the HUDHomestore. However, it is nice to know what options are available to you, particularly if you may purchase a property in need of many expensive repairs. Contrary to popular belief, HUD does not give out any sort of financing to prospective home buyers. Many people mistakenly believe that HUD is responsible for the financing of these homes since they are listed on their website, but this misconception needs to be dispelled. You must either pay for the home out of pocket with your own cash or receive a loan through a private lender. There is some benefit to this for the homeowner because it allows them to choose a lender they feel comfortable working with. You may prefer a particular customer service representative or the location may be extremely convenient to your home. Perhaps you want financing done completely online to make things more convenient for you in today’s modern world. By choosing your own lender, you have a lot more flexibility in who you select and you can shop around to ensure you receive the best rates and most favorable terms. Many people who are interested in the purchase of a HUD home will want to investigate their eligibility for the FHA financing. Once again, this program is only available through private lenders and has nothing to do with the federal government. The loan is only insured by the government, allowing lenders to offer lower rates and more favorable terms that make homeownership more accessible to the general public. Every lender will be able to use their own discretion to approve or deny a financing application. However, the requirements to receive an FHA loan are a little more clear-cut than they are with conventional mortgages. For example, a potential lender is bound to look at your credit score. 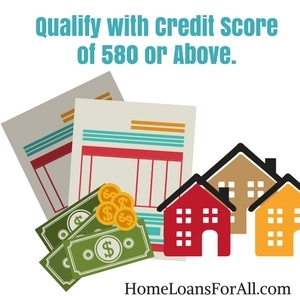 With the FHA loan program, it is simple to qualify if you have a credit score of 580 or above. This allows you to take advantage of the lower 3.5 percent down payment. You may still receive a loan with a credit score lower than this number, but you will be required to put down a much larger ten percent down payment. The other major factor will be your debt-to-income ratio. Most lenders prefer to see your debts, including the mortgage on the new home, to equal 43 percent of your gross income or less. This figure ensures that you will likely have enough money to cover the cost of your mortgage payments on a monthly basis. Keep in mind that you will be required to pay private mortgage insurance on a monthly basis until the end of your loan. This is a requirement for all FHA loans, but it can really add up over the course of a thirty-year mortgage. There is one significant perk of using the FHA financing to purchase a HUD home. Some of the homes are already considered FHA-eligible and have received their appraisal. This can help you to soar through the financing process and allow you to move in much faster than you would be able to otherwise. It’s a great advantage you may want to consider if you are in a real hurry to get into your new place. Are all properties eligible for FHA financing? 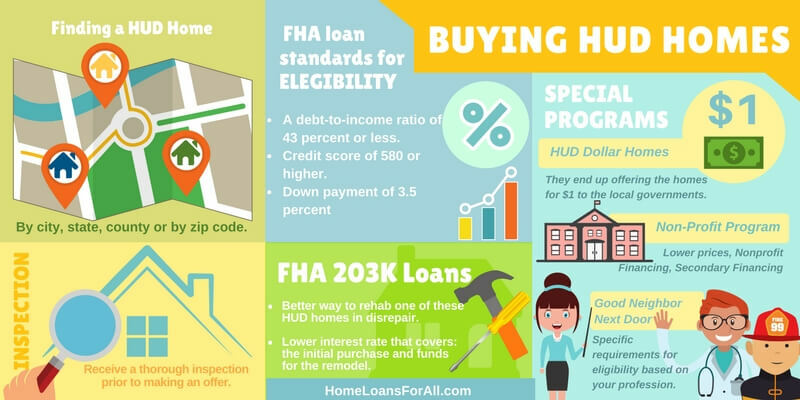 It should be noted that not all properties will qualify for FHA financing by the time they are listed in the HUDHomestore. This may not make sense to many prospective buyers because these properties all received this financing at one point prior to the foreclosure. You should inquire with an authorized HUD agent early in the process to find out if a property you’re interested in will qualify for this financing. If it does not qualify for FHA financing, you should consider the detailed reasons why not. One of the primary eligibility criteria for FHA financing is that the home must meet minimum property standards related to safety and sanitation. If the house is no longer eligible for this program, it may be because it does not meet these minimum property requirements. This is an indicator that there are some major renovations ahead for whoever purchases this property. The specific deficits and required repairs should become apparent during a thorough home inspection. It can’t be overstated how valuable this document will become in helping you to make a wise decision regarding the purchase of one of these HUDHomestore properties. While the minimum property standards may not have anything to do with the reasons why a particular property isn’t eligible for FHA financing, it’s definitely something to consider. You may need to decide whether you can still afford the property or if you would want this home if it wasn’t eligible for an FHA-insured loan. Without it, you could be losing out on all the standard benefits that come with the FHA mortgage program such as low interest rates and a much lower down payment. Once you decide that a HUD home is right for you and your family, you should know the proper way to go about making that decision final. It is a little different to navigate the purchase of a HUD property compared to conventional financing on a house you find in the general real estate market. You can first find a property that interests you through the HUDHomestore. From here, you will need the help of a HUD-approved agent who can submit a bid package and offer on the home for you. You will not be able to purchase a home or submit an offer without enlisting the help of a qualified real estate professional who is approved by the agency. During the exclusive listing period, the property will only be available to owner-occupants. The bid can be for whatever amount you desire, either above or below the current listing price. Submitting a bid is not a guarantee that the offer will be accepted by the agency when all of the offers are considered. 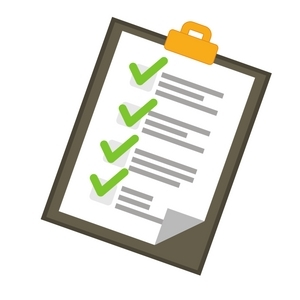 It’s recommended that you receive an inspection of the property prior to submitting an offer. You will be responsible for the full extent of the repairs once the home is yours, so you should know what to expect upfront. If you decide to back out after the offer is accepted, you will lose your earnest money deposit. If your offer is accepted by HUD, you will put down an earnest money deposit that goes toward the down payment on your home. This money is non-refundable if you back out of the purchase for any reason. You have thirty days to close once the bid has been accepted unless you receive a written authorization to extend the timeline from HUD. They are most commonly willing to approve these extensions if your lender needs more time to process your loan application and paperwork. The bid you make on a property is extremely important because it determines whether you will receive the property and what you will ultimately pay for it. 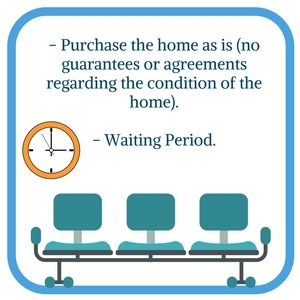 It’s important to keep in mind that there are a few standard procedures when it comes to bidding on a HUD Homestore home. Properties that don’t sell within a set period of time will have their sales price reduced on the Homestore. If they have already been reduced once, they will cut the price by 10 percent. At this stage, they will accept the highest offer in a particular bidding period provided It equals at least 85 percent of the reduced list price. If the home remains available for purchase, it may see yet another price reduction. A home that has been reduced twice will be lowered by 15 percent. This means that they will accept the highest offer in a particular bidding range as long as it equals 70 percent of the current list price. Using these bidding secrets, you can maximize the amount of money you will save on the purchase of a property through the HUDHomestore. It’s essential to know just what you can expect from this government agency as they attempt to liquidate the foreclosed properties they are in possession of. As an added incentive, some of the properties are eligible for participation in one of the Department of Housing and Urban Development’s special programs. There are three major special programs that you may want to research more thoroughly before making a purchase through the HUD Homestore. They’re known as the HUD Dollar Homes, the Non-Profit Program, and the Good Neighbor Next Door program. The HUD Dollar Homes sound appealing to most people for an obvious reason. Who wouldn’t want to purchase a home for the low price of just a single dollar? There’s much more to this program than meets the eye, but its primary objective is to assist local governments in an attempt to provide more moderate to low-income housing opportunities for families. The HUDHomestore has six months to work with the FHA and attempt to sell the property through their listing website. By the time these six months roll to a close, the property has already been offered for several months to both owner-occupants and investors. Holding onto the property for too long can be detrimental to the community and isn’t particularly profitable for the government either. In the end, they end up offering the homes for $1 to the local governments. This makes the single-family properties more likely to be remodeled and rented out to those families who need assistance with low-cost housing. They may be resold or rented through a local organization who can manage the tenants and rent collections. In general, this is a great program because it can quickly change the entire face of the community and get rid of abandoned buildings. As more people come into an area, the local economy improves and businesses prosper as well. The HUD Dollar Homes are a win-win situation for everyone. Click here for our in-depth article about HUD Dollar Homes. The FHA wants to be able to provide financing for low-income and moderate-income families. Oftentimes, this demographic is excluded from the world of affordable financing for a wide variety of reasons. However, the FHA wants to partner with various nonprofit organizations to help correct the ever-widening gap between low-income families and their high-income counterparts. The program guidelines are rather specific for this program, but it generally has three separate aims. Lower prices: The HUD Homestore tends to offer the homes to nonprofit organizations at a reduced rate during an exclusive listing period. This enables them to purchase the home for rehabilitation and affordable resale or as a rental opportunity for families in need of assistance. This tends to include a thirty percent discount on the initial purchase price. Nonprofit financing: A HUD-approved nonprofit agency can apply for the same FHA financing available to homeowners with all of the same inherent benefits and perks, including low interest rates. Secondary financing: A HUD-approved nonprofit agency is permitted to offer a secondary source of financing to those homeowners who have an existing FHA mortgage that is secured by a second mortgage or lien. For more information on Non-Profit assistance click here. Are you a law enforcement officer, teacher, firefighter or an emergency medical technician? If so, you may qualify for an incredible discount on a HUDHomestore property through their Good Neighbor Next Door program. These eligible single-family homes are available in specific revitalization areas for the first seven days of their exclusive listing. During this time, the properties are offered to police personnel, pre-kindergarten through high school teachers, firefighters, and emergency medical technicians at a fifty percent discount. This represents a tremendous bargain for these individuals who could make a home within the community with the substantial savings this offers. In exchange, you are committing to living in the property as an owner-occupant for a full 36 months. You will receive a second mortgage for the second half of the purchase property, but it will not require any interest or payments while you live in the property. It is sometimes referred to as a “silent second.” Its primary purpose is to ensure that you will actually reside in the home for the full three years listed in your commitment. Provided that you do, you will never be charged for the second half of the list price. There are specific requirements for eligibility based on your profession. You may want to take a look at the full and detailed requirements on the HUD website here. If you’ve been wondering how to buy a HUD home, this guide should give you the first steps you need to make homeownership a reality. This program is extremely beneficial for offering low-cost homes to potential buyers while possibly still allowing them to maximize the benefits of FHA financing. Be sure to do your research on any potential property you’re interested in before you make a big commitment. After all, this will be your home for years to come! Anyone who has the cash available to cover the cost of the home or who is eligible to receive financing through a private lender is eligible to purchase a HUD home. You must be working with a real estate agent in order to submit an offer on any of the available properties. Should I get an inspection for a HUD home? 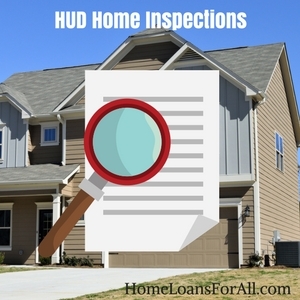 Yes, it is highly recommended that you get an inspection on any HUD home purchase. The Department of Housing and Urban Development is not responsible for repairing the condition of the home and all properties are sold as is. An inspection allows you to see the full scope of work that might await you if you purchase the property. It is suggested that you obtain a home inspection prior to making an offer. Can HUD homes get financing? 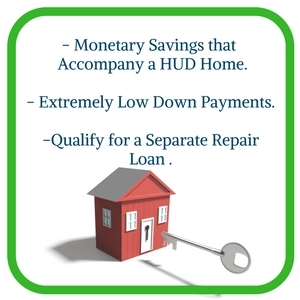 Yes, HUD homes can qualify for financing. The Department of Housing and Urban Development (HUD) does not offer any financing programs. You may apply for a conventional mortgage, FHA loan, or FHA 203K loan through a private lender for use with a HUD property. Not all properties will be eligible for FHA financing, so check with a broker first. 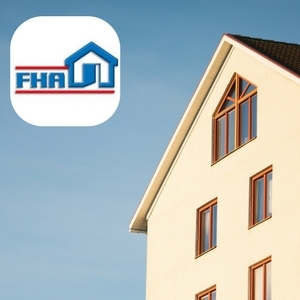 Is there an FHA special discount for HUD homes? Some prospective homebuyers will qualify for reduced rates on a HUD property. These include law enforcement officers, prekindergarten through twelfth-grade teachers, firefighters, and emergency medical technicians. They qualify under the Good Neighbor Next Door initiative for a substantial fifty percent discount on a HUD home. How can I see the available HUD properties? All of the available HUD properties are available to the general public on the government website, HUDHomestore. This page allows you to search for homes near your desired area by city, state, zip code, or county. How do I buy a HUD foreclosure? You can begin the process of purchasing a HUD foreclosure by searching for a potential property on the HUDHomestore website. Reach out an authorized HUD agent regarding the bid package and then proceed to inspect the property. Once this is complete, you can submit an offer with the bid package. Successful bidders will be required to put down an earnest money deposit which is non-refundable in the event you do not go through with the purchase of the property. Once a bid has been accepted by HUD, you have thirty days to close on the property unless you receive a written extension with a valid reason. HUD Dollar Homes are properties that have been listed for sale for more than six months without success. They are then made available to the local government for just $1 in order to have them locally rehabilitated and provided to low-income or moderate-income families in need of housing assistance.